Fall is a perfect time to try some red hues. If you’ve ever fantasized about being a redhead, here are some basic tips to help you find your perfect shade. Are you ready for Red hair for Fall? If your skin coloring appears to be pink, you’re cool. If it appears yellow or olive, you’re warm. If you have brown eyes, warmer colors will compliment you more. Choose golden and coppery red shades. If your eyes are light, like blue or green, choose a cooler red with mahogany or deep chestnut undertones. Fair skin: A light strawberry blonde is beautiful. Avoid mahogany tones that pale your already fair skin. Medium skin: You can handle a deeper red, because there is more tone in your skin. A medium coppery light brown or auburn shade would be gorgeous. Avoid wine shades that bring out yellow in the skin. Dark skin: Go with a dark auburn to a mahogany red or a rich, chestnut brown. Avoid intense shades of red, as they can bring out subtle green undertones in dark skin. Watch out when coloring over existing color. It could effect the tone and depth of the red you desire. Do a strand test before coloring all over. Add a gloss between colorings to keep your red vibrant. You can choose a clear gloss or a tinted one that will wake up and extend your color. Red color tends to fade more quickly, so it’s essential that you use a shampoo and conditioner formulated for color treated hair, such as Madison Reed’s Madison Reed nourishing, color enhancing shampoo and conditioner set, to protect and extend your color. 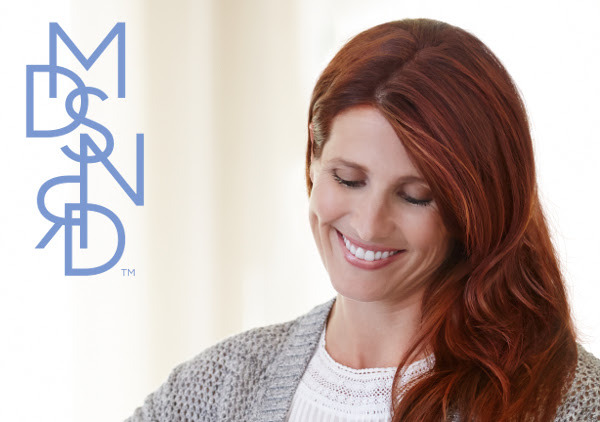 Right now get 50% off your first purchase at Madison-Reed.com with the code FALLHAIRCOLOR.